On her website ToriAvey.com, Tori Avey explores the story behind the food – why we eat what we eat, how the recipes of different cultures have evolved, and how yesterday’s recipes can inspire us in the kitchen today. Learn more about Tori and The History Kitchen. The word vegetarian is defined by the Oxford Dictionary as “a person who does not eat meat or fish and sometimes other animal products, especially for moral, religious, or health reasons.” While this is a good broad definition of the vegetarian diet, the actual practice of vegetarianism is somewhat less clear-cut. 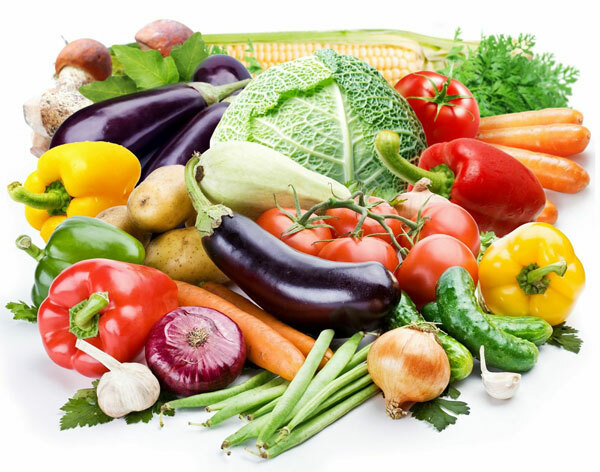 There are several subcategories of vegetarianism including ovolactarians, who eat dairy products and eggs but abstain from meat, and lactarians, who eat dairy products but abstain from meat and eggs. Some people include fish in their diet but still consider themselves vegetarians; a new name for this lifestyle, pescatarian, has recently emerged. Vegans are the strictest subcategory of the vegetarian movement, abstaining from all animal-based products. Strict followers of veganism do not eat honey or wear leather or wool. While religion sometimes calls for a vegetarian or vegan diet, over the years we have seen an increasing number of individuals choosing not to consume animal products based on their personal beliefs. Some of the first self-proclaimed vegetarians were the Pythagoreans, a title derived from the Greek philosopher Pythagoras, creator of the geometric Pythagorean theorem. Though Pythagoras loaned his name to the meatless diet, it is unclear whether or not he followed a strict vegetarian regimen. Some suspect that in addition to his usual breakfast of honey and dinner of barley bread with vegetables that he may have eaten fish as well, which would have made him a pescatarian by today’s standards. Followers of Pythagoras adopted his dietary restrictions, believing that they were helpful in aiding longevity. 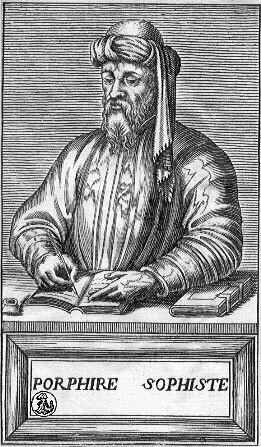 The teachings of Pythagorus were first published in modern terms by Italian writer and physician Antonio Cocchi; in 1745 they were translated into English by Robert Dodsley. An account of his diet also appeared in the Greek philosopher Porphyry’s book On Abstinence from Animal Food (3rd century B.C.E.). The influential historical document includes some of the very same arguments that modern day vegetarians use when praising the merits of a meatless diet. Humans abstained from eating animal flesh long before Pythagoras, though the first significant rise in vegetarianism based on principle likely occurred during classical times. The term “vegetarian” replaced Pythagorean on September 29, 1847 in Ramsgate, England when the first vegetarian society was formed. Three years later, a similar group known as the American Vegetarian Society was founded in New York City by William Metcalfe, Sylvester Graham, William Alcott and Russell Trall. Many notable feminists and abolitionists attended early meetings of the American Vegetarian Society including Susan B. Anthony, Horace Greeley, Lucy Stone and Amelia Bloomer. Founding member William Metcalfe was a member of the Bible Christian Church, a vegetarian church founded in England in 1809. When he arrived in Philadelphia with his wife Susanna in 1817, they founded an American branch of the Bible Christian Church, the first vegetarian church in America. In 1821 he published a pamphlet of a sermon inspired by Porphyry’s work, titled On Abstinence from the Flesh of Animals. The pamphlet proved to be influential in converting some of the most important members at the start of America’s vegetarian movement, including William Alcott, America’s first vegetarian physician, and Protestant minister Sylvester Graham. Amos Bronson Alcott, father of Little Women author Louisa May Alcott, co-founded America’s first vegetarian commune, Fruitlands, in Massachusetts. The vegetarian movement gained momentum through the decades thanks to several influential historical figures. Upton Sinclair unknowingly contributed to the movement when his novel The Jungle spawned both the Pure Food and Drug Act and the U.S. Food and Drug Administration in 1906. Sinclair was not a vegetarian for long, but his depiction of the unsanitary practices of the meat packing industry turned many Americans away from consuming animal flesh. John Harvey Kellogg, king of cold breakfast cereal and creator of cornflakes, was a strong advocate of vegetarianism and preached its benefits until the 1940s. In 1947 a short-lived political group known as the American Vegetarian Party formed in hopes of putting forth a successful candidate in the 1948 presidential election. They chose Chicago citizen, naturopathic doctor and restaurateur John Maxwell. Of course Maxwell did not win (in fact he was born in England, which made him ineligible), but the party continued to nominate candidates in every election until 1964. 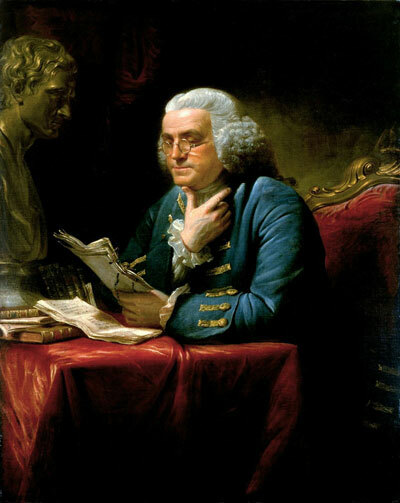 Many noteworthy individuals throughout history have practiced vegetarianism during their lives, including Benjamin Franklin. While working as a printer at age 16, he was inspired by the vegetarian philosophy discussed in Thomas Tryon’s The Way to Health and Long Life. He began a short-lived diet of bread and water, which he believed made him as ‘stout and hearty’ as he’d ever been. In his autobiography, Franklin describes preparing a few of Tryon’s dishes, including boiled rice or potatoes and hasty pudding. He found that the diet had its economic advantages. His food expenses were decreased by half, affording him the opportunity to purchase more books for his collection. Franklin soon became an advocate of animal rights, which easily fit in with his anti-slavery and political rights agenda. Alas, his vegetarianism did not last for long. While traveling on a ship, he witnessed smaller fish being removed from the stomachs of cod that had been caught and butchered. Upon seeing this, according to his own writings, Franklin had a change of heart: “If you eat one another, I don’t see why we mayn’t eat you.” That day he indulged in a piece of fish, thus ending his time as a vegetarian. American cookbooks dedicated to vegetarian cooking began popping up in the late 19th and early 20th centuries. One such early publication is E.G. Fulton’s The Vegetarian Cookbook, released in 1910. The book, like many early vegetarian cookbooks, contains several recipes containing protose, a meat substitute invented by John Harvey Kellogg. Though an exact recipe for protose is difficult to track down, several have tried to recreate its unique flavor and texture with a combination of wheat gluten, peanut butter, onion and herbs. During the 70s, cookbooks began to address the lack of protein associated with a vegetarian diet. Frances Moore Lappé’s Diet for a Small Planet (1971) includes tips for cooking with high protein ingredients like peanuts, beans and grains. A section “concerning the amount of usable protein and the percent of daily protein allowance found in each serving” follows each recipe. When Anna Thomas published The Vegetarian Epicure in 1972, she had become frustrated with recipes that relied on meat substitutes. Her cookbook celebrated the variety and flavor of meatless meals without the need for substitution, signaling a new culinary approach to vegetarianism that continues to this day. With vegetarianism on the rise, it’s now common for restaurants to feature vegetarian menus or meatless entrée alternatives. Grocery stores carry a large variety of vegetarian options, proving that there is a strong market for meatless products. With proper attention to nutritional intake, it is entirely possible for vegetarians and vegans to live a long and healthy life. Do you follow a vegetarian or vegan diet? What are your reasons for adopting this lifestyle? Fisher, Carol (2006). The American Cookbook. McFarland and Co, Inc., Jefferson, North Carolina. Franklin, Benjamin (1996). The Autobiography of Benjamin Franklin. Dover Publications, US. Fulton, E.G. 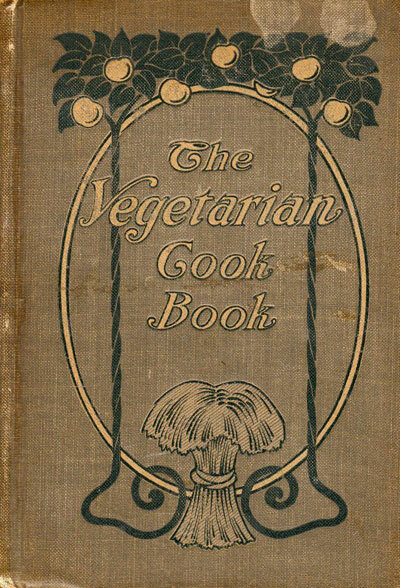 The Vegetarian Cook Book (1910). Pacific Press Publishing Company, Oakland, California. Maurer, Donna (2002).Vegetarianism: Movement Or Moment: Promoting A Lifestyle For Cult Change. Temple University Press, Philadelphia, Pennsylvania. Smith, Andrew F. (2007). The Oxford Companion to American Food and Drink. Oxford University Press, New York, New York. Stuart, Tristram (2006). The Bloodless Revolution: A Cultural History of Vegetarianism from 1600 to Modern Times. W.W. Norton & Company, Inc. New York, New York. You can uncover more fascinating food history on Tori’s website: The History Kitchen. Tori Avey is a food writer, recipe developer, and the creator of ToriAvey.com. She explores the story behind the food – why we eat what we eat, how the foods of different cultures have evolved, and how yesterday’s food can inspire us in the kitchen today. Tori’s food writing and photography have appeared on the websites of CNN, Bon Appetit, Zabar’s, Williams-Sonoma, Yahoo Shine, LA Weekly and The Huffington Post. 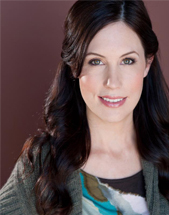 Follow Tori on Facebook: Tori Avey, Twitter: @toriavey, or Google+.